As our customers, our reach is constantly growing! 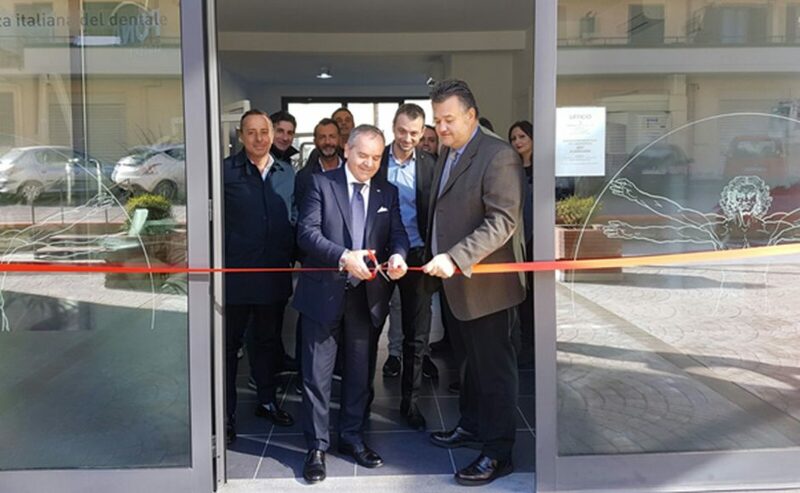 This time we opened a new showroom in the picturesque Salerno, Italy. This project was completed in cooperation with Sympla srl, who were also present at the inauguration ceremony. 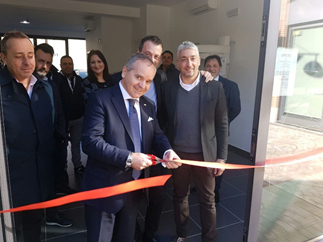 The showroom was officially opened in December, with the special presence of FONA Italy General Manager, Felice Grandini, Sales Manager Italy, Claudio Sinibaldi, Albergio Gambino, Regional Councillor of Campania and Dr Gaetano Ciancio, President of the Dental Association of Salerno. 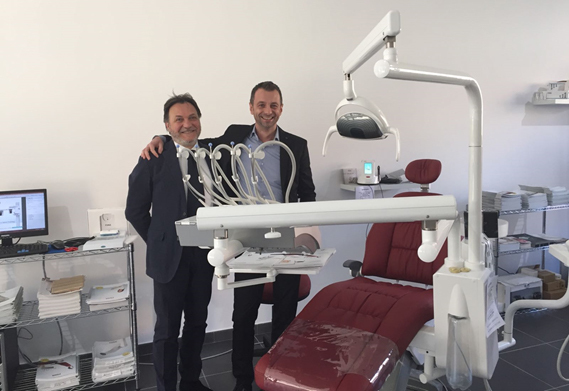 The project was also made possible with the dedication of Luca Campanile, Commercial Manager of Sympla in Campania and Sympla Managers, Nicola Trotta and Fausto Stavolone. 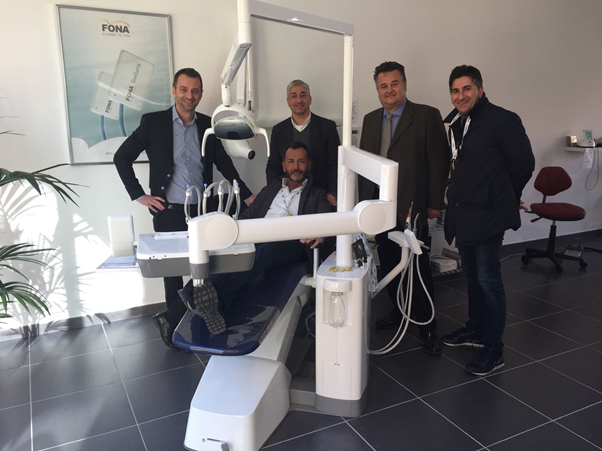 The showroom boasts the most popular latest generation FONA products: 1000 S and 2000 L treatment centers, intraoral imaging systems ScaNeo and CDR, new rotary instruments, FONALaser, steriliser Hygenius and one of our top products in the area – the two-in-one solution XPan 3D. 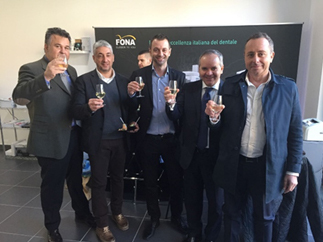 With the opening of this spectacular showroom, FONA aims to support local professionals with furthering their business and partnerships by giving them the opportunity to see and try the products. In addition, the new space allows for trainings to be carried out on site. 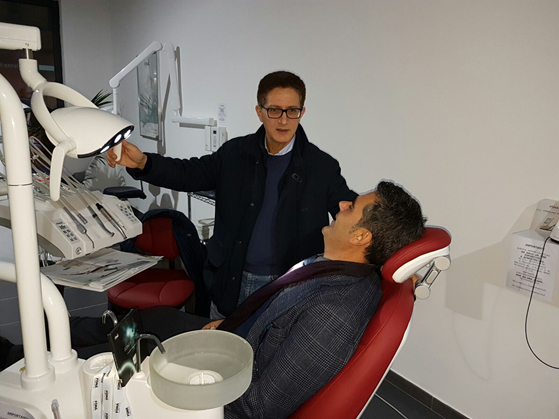 The main area will be used to organise events, present FONA products and conduct clinical workshops, in order to allow dentists and partners to touch and experience our unique products. Do not miss the chance to visit the new FONA Showroom in Salerno, where you can admire all our devices!